We’re confident that you’re going to enjoy your driving lessons with Ignition Driving School and to show support for your driving instructor we would love you to recommend us to your friends and family. To say thank you for your support we are offering you a cash back reward for every new friend or family member you introduce to the school. New to Ignition Driving School? Don´t worry, you can still benefit from our great Loyalty Card! Do you have any friends or family who are ready to start learning to drive also? If so, why not join together and not only will you benefit from the professional tuition of Ignition Driving School but also share the rewards. So whether you´re an existing customer of Ignition Driving School or a new pupil, you could earn up to £105 cash back to spend on a wide range of things! 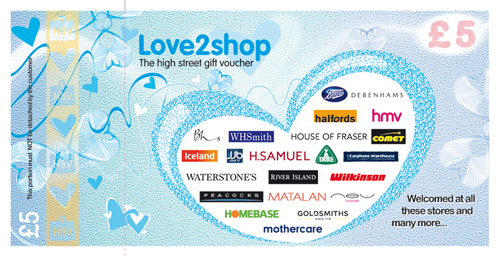 Where to spend the vouchers? So what have you got to lose? Start recommending today and treat yourself to something nice – you deserve it! * Friend must commit to 5 one hour lessons to qualify for reward. Cannot be used in conjunction with any other offer.